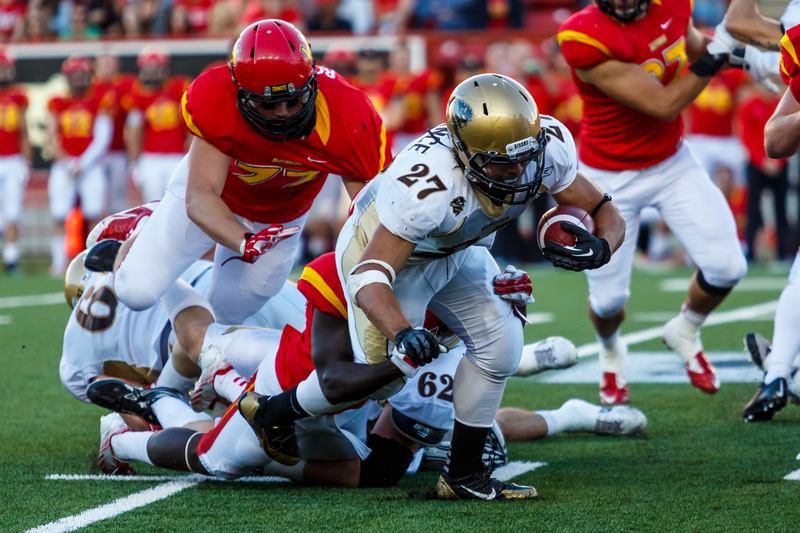 The University of Manitoba Bisons are 2-1 after a stunning 39-36 comeback on the road against the UBC Thunderbirds on Sept. 14. Following a pair of exciting games at home to open the season, the Bisons travelled to Vancouver to play the new-look T-Birds offence. After four years with the outstanding Billy Greene quarterbacking, UBC now turns to Carson Williams and Greg Bowcott under centre. Williams got the start against Jordan Yantz and the high-powered Bison offence. The Bisons scored the first points of the game, as Yantz orchestrated a nine-play, 90-yard drive capped off by a one-yard touchdown run by Andrew Barry. On the next two Bison possessions, the T-Birds forced two safeties to cut Manitoba’s lead to 7-4. In the second quarter, the Bisons forced a safety, and Nick Boyd kicked a 44-yard field goal that put Manitoba up 12-4 heading into the second half. With nothing to show offensively after 30 minutes of play, UBC replaced Williams with Bowcott hoping to spark the UBC offence. 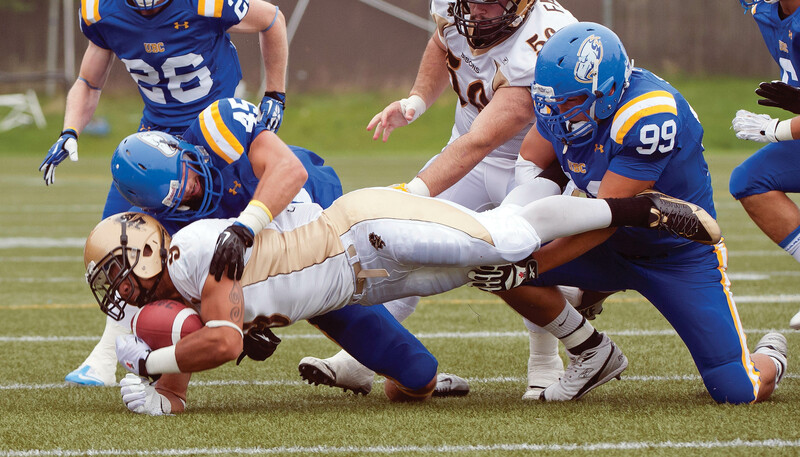 Bison linebacker Thomas Miles blocked a 38-yard UBC field goal attempt to keep the T-Bird offence off the score sheet. The UBC defence, however, continued to put points up on the scoreboard. After holding Anthony Coombs to 50 yards rushing in the first half, the UBC defence forced a rare Coombs fumble and returned it 30 yards for a touchdown. The score cut the Bison lead to 12-11. On the first play of the next Bison drive, UBC forced a Yantz fumble and recovered the ball on Manitoba’s 39. Bowcott finally got things going for UBC, as he ran in a touchdown from 21 yards out to take the first lead of the night 18-12. The Bison offence continued to struggle as the T-Birds extended their lead. Bowcott threw the first passing touchdown of the game to Micha Theil. The third quarter came to a close with UBC leading Manitoba 25-12. After struggling through the third, the Bison offence finally came to life in the fourth quarter. Coombs broke off a 33-yard run that helped to set up Nick Boyd’s second field goal of the night from 26 yards out. Bowcott worked down the field scoring a touchdown that gave UBC a 17-point lead with 8:33 remaining in the game. It would be the last UBC score of the night. Coombs and Yantz led a balanced attack on the Bison offence’s drive. Coombs rushed for four first downs before Yantz hit Nic Demski on an 18-yard passing play that cut UBC’s lead to 10 with 5:43 remaining. The Bison defence forced a two and out that gave the ball right back to Yantz and the offence, who drove 76 yards in just over two minutes with Coombs scoring on an 11-yard passing play that made the score 32-29. Another UBC two and out set the Bisons up at the UBC 53. Yantz had really found his groove at this point, as he completed two passes before connecting with Nic Demski in the end zone for a 28-yard touchdown that put the Bisons back out in front 36-32 with less than a minute to go. The T-Birds had an opportunity to respond, but the Bison defence held their ground and stuffed Bowcott on third and one, effectively clinching the win for the Bisons. Now 2-1 with the win, the Bisons turn their sights to the defending Hardy Cup champion Calgary Dinos. 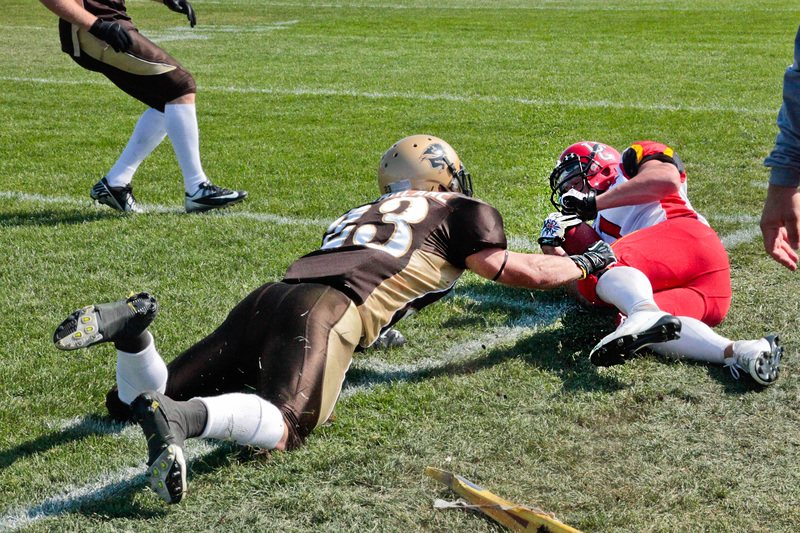 Manitoba will travel to Calgary for their game on Friday, Sept. 20 at 7 p.m. You can catch the game on Shaw TV, as the Bisons attempt to serve the 3-0 Dinos their first loss of the season.